Do you know that you can start a business online and build it from zero to success? Yes! You can and you will. Just do it. Facebook, Amazon, Aliexpress, Uber, Airbnb and others all started online with a very disruptive business model and grew into a multi-billion dollars business empire. Yes, I said BILLIONS not millions! Your search for the most profitable business ideas to start online is over. I have got you covered in this guide. In business, you need to consider two important lines: Offline and Online. These two lines are mutually dependent on the other and it still baffles me that many people still don’t believe that a very successful business can thrive online. Even when the proof is all around us. Facebook, the world’s most popular social media creates no content of its own. Alibaba, one of the most valuable retailer has no inventory. Uber owns no vehicles of its own and it is still the world’s largest taxi company. I can go on and on. Any business that is not online is dead! You can counter all you want. It still doesn’t change anything. The reason is that people will always pay for convenience and the online business is all about convenience. What is better than you being in your house or office and shopping for anything you want. And having it delivered to you wherever you are? Or making arrangements for an event from your house or office right from your mobile phone or PC. Everything you need from the transportation to the lodging, tickets and getting picked up by a car at the time you want. This is convenience and people are paying millions everyday to enjoy these conveniences including you. Mark Zuckerberg is making billions of dollars today because he sees Facebook as a business. So also is Sergey Brin and Larry Page of Google, Jack MA of Alibaba, and so on. You might be thinking that these are great businesses. I want to tell you that they all started small. And I will walk you through the basics in a while. You may or may not be making billions but you will be making enough to justify making it a full-time source of your income. And you don’t have to be a genius to start a very successful online business. You don’t need any formal and expensive training. You can learn everything you need to know online. You learn how to run a successful online business online. The bitter truth is that you will start your journey to a successful online business from a point of knowing nothing and spending hundreds of hours working for little or no reward. It will be difficult at first and you won’t know how hard it can be until you step in. You will make a lot of mistakes and learn a lot. Years later, you will be glad you took this step because you will be very successful and will work less. Running a successful online business might look easy on paper. The reality is that it is anything but easy. Easy is your regular 9 to 5 job. But in the long-term, it is worth it. One good reason why you should consider an online business is the ability to easily create a passive income. At the beginning, you will have to work hard and smart. Then after a while, your hard work will start generating regular streams of income for you with less or no work. The purpose of this guide is to show you a practical road-map to starting your own online business either as a side hustle or a full-time job. If you are willing to create value, then this guide is for you. You can start your journey of online business by joining the likes of Pat Flynn, Jon Morrow, Brian Dean, Darren Rowse, and others who have built thriving 7 and 8 figure businesses online. But if you are lazy and not a self-starter, then you should quit your dream of starting an online business. You can sell anything and everything online. However, you can’t start by selling everything online. You have to concentrate on a niche (market). You have to study and understand who your target client is. This is very crucial to the success of your online business. #2. Create or Choose a product. You don’t necessarily have to create a new product, the secret here is to sell a product or services that people want to buy. Do not make the mistake of selling what you want. You can only sell what your customers want. You can start a very successful business online without building a website. Yes, it is very possible. However, I would recommend that you build your own website. This will help you to brand yourself and also give you absolute control over your online business. Your website will also help you connect with your market on a personal level. #4. Drive targeted traffic to your site. You can drive targeted traffic to your online business using several white hat (legal) methods. You will observe that I used the word “targeted traffic” not just traffic. These are the people who will buy into your brand. These are your targets. To do this, you need to understand the concept of SEO. Search engine optimization (SEO) in simple terms means making sure that your website is able to attract your target customers through search engines such as Google, Yahoo, Bing etc. SEO can be divided into On-site and Off-site SEO methods. On-site SEO is to optimize your title, keywords and descriptions (TDK) of your website pages and your original content.This will greatly improve your conversion rate. Off-site SEO is an off-site way of improving your page index and keyword ranking. One of the ways this is done is by placing your original contents on some press release platforms. Your understanding of what SEO means will help you use other online methods effectively such as social media marketing, forums, free giveaways, etc. #6. Get automated passive income. This is the beauty of having an online business. It is easier to make money on autopilot online than offline. This is also known as automated passive income. This means that you put in all the hard work in setting up an income system online and then relax while the money rolls in. A typical example of generating a passive income is through affiliate marketing. This means that you help others promote their products or services online and in return you earn a certain percentage from the sales made through you. There are many ways to do this and as you mature in your business online, you will discover and build a system that work best for you. There are many ways of driving traffic to your online business or website. You can promote your online business using the free and the paid methods. Both methods are very effective when used the right way. The only important difference is that you spend money on the paid method. You need to attract the right audience to your online business. This is also called traffic. 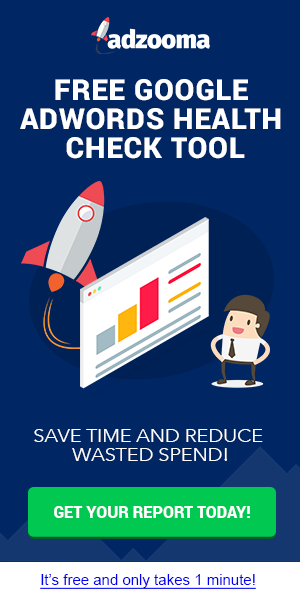 These are some of the best methods and tools you can use to promote your business online for free. Social media is arguably the best place to attract your target customers into your online business. You can interact and form good personal and business relationships here. Some of the popular social media you can use are Facebook, Twitter, Instagram, Snapchat, LinkedIn, Pinterest, Google+ etc. Most of these social media have paid promotional methods. I strongly recommend that you use them for free. It is really unnecessary to start with paid promotion for your online business. Aside from your online business website, you can also create free blogs to market your brand. These free blogs will serve as pointers to your main online business website. All you have to do on these mini sites is to share helpful information about your brand to your target market. Some free blogs you can start with are Blogger, WordPress, LiveJournal, Tumblr, Medium, LinkedIn Pulse, Quora blog, etc. A forum is a place where people of similar interests gather to share ideas together. You can share everything and anything in forums. You can use this to your advantage by helping your target customers in solving their problems. It is advisable for you not to go all salesy on them. Show genuine interest and position yourself as an authority. You will earn your prospects trust by doing this. And this will translate to more sales for you eventually. This approach is known as paying it forward. There are many great forums out there for you to join for free. It is really tricky trying to recommend forums for you to join. Be creative in your search and only join forums that are relevant to your online business. You don’t know what online business to start with? I will advise that you look inward at your interests. You have to ask yourself some very basic questions so as to discover your strengths. What are your skills, hobbies, and other things people always ask you to help them with? These should be a good starting point and will help you in generating great ideas for your online business. If you are a people person with good inter-personal skills, then you should consider an online coaching business. It can be life coaching, sports coaching, fitness coaching, business coaching, family coaching, relationship coaching, finance coaching, music coaching etc. You can start this with zero capital with or without a website. Just make use of social media like Facebook, LinkedIn, Instagram etc. and you are good to go. This is one of the fastest growing industries in the world. Don’t limit yourself, your imagination equals possibilities. This is similar coaching. However, you will also be providing information based on specific products. For example, let’s assume that you are very passionate about teaching the French language. You will create a site built specifically for talking about French language, teaching French language, offering free classes on French language and selling premium products on French language. This is what an online niche information products entails. This can be applied to any products in any sector. You can focus on niche info products in language, sports products, fitness products, gadgets, electronics etc. Just be creative and focus on your interests. Another very lucrative online lucrative online business you can start now is e-learning. 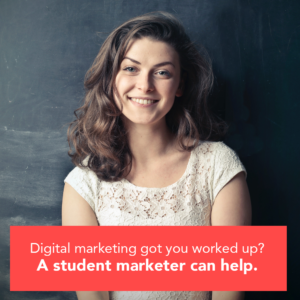 Education has gone digital and more and more people are earning their degrees online. Many traditional schools are moving online because it is very profitable. And more and more people are embracing online education. There are many companies in this space and more are coming up every now and then. Companies like Lynda, Coursera, Khan Academy, Udemy, EdX etc. You don’t have to start big. You can start by creating short video lessons on YouTube and make your money through adverts or you can even sell your videos straight from YouTube. This is my favorite. You can start a very successful e-commerce business online with or without an inventory. The e-commerce business model can work for anyone from any country. And you can sell anything online from information products to physical products. Almost everyone is shopping online these days and people are more willing to pay for your products provided it is valuable and you offer convenience. There are many online business ideas you can start with. 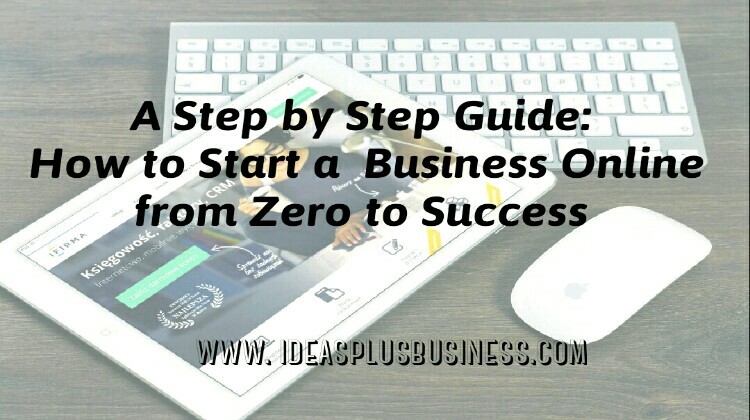 The reason for this guide is to show you how to start a small business online and build it from zero to great success. You can start a successful business online with very minimum investment. If others can do it, you can do it better. 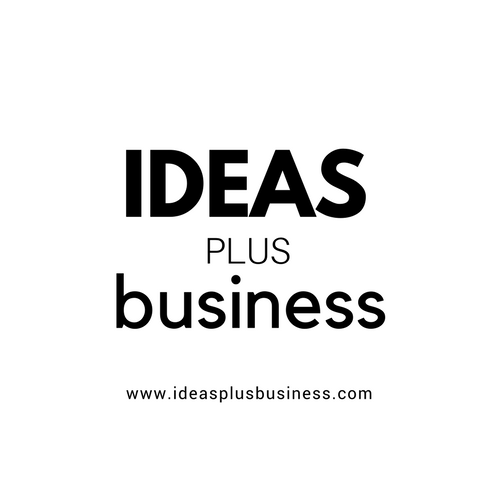 At this point, if you still don’t know how to come up with great ideas for your online business, my comprehensive guide on generating great business ideas will be very useful to you. I would love to hear about you and your business. What do you do and how do you want me to help you. Let’s have a chat in the comments. Together we can. I would also like to know your thoughts about this article. Was it helpful enough? Tell me your mind. I really do want you to succeed in your online business. Coaching and freelance writing has been very effective in helping me grow my online business. At the moment I haven’t created any digital information product I can monetize online but I hope to do that soon. Thanks for sharing your idea with us. You’re very much welcome Emmanuel.